S6 Drama pupils staged two successful plays for their NC Drama course earlier this week. The SQA National Certificate course requires pupils to perform a play they have studied over eight months in front of a public audience. They are required to research the play and its background, as well as that of its writer and they learn the art of stage craft and how to develop an interesting character. 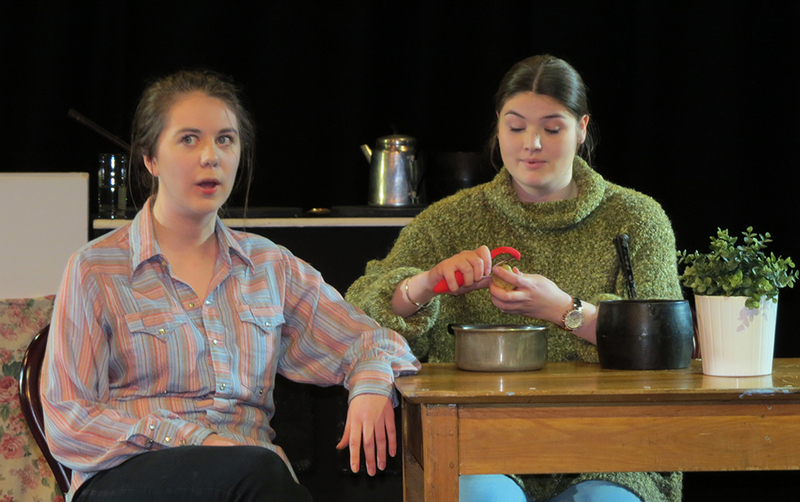 This year’s NC Drama pupils performed two plays – Bold Girls by Rona Munro and 20th Century Blues by Susan Miller. Both plays feature a small cast of strong characters and our pupils worked hard to ensure engaging performances which were enjoyed by the audience.